Coconut Vanilla Overnight Oats. Oh. My. Gosh. This overnight oats recipe may be my most favorite so far. 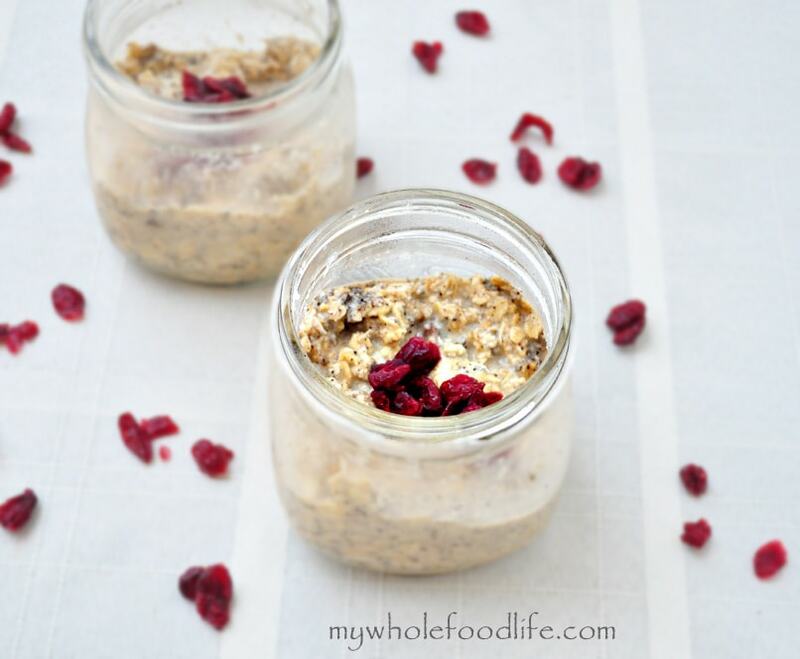 If you love my Coconut Cream Larabars, you will love these overnight oats too! Coconut butter just makes everything a little better. It is so rich and delicious! I actually didn’t use cranberries in my recipe, I just thought the color was great for the photo. I may try adding them to the recipe next time. Raspberries would be a nice addition too. I love using steel cut oats in my overnight oats, because I like the crunch. If you like a smoother oatmeal, feel free to use rolled oats instead. Both will work out fine in this easy overnight oats recipe. Throw all ingredients in a jar and mix very well. Store in the fridge overnight and enjoy the next morning. I make 5 of these at a time and they hold up well. However, if you want to add fresh fruit, add it in right before you eat it. Everything else is fine to sit in the fridge. Enjoy! Can I use vanilla extract in place of ground vanilla bean? Yes, but you may taste the alcohol since this is not cooked.